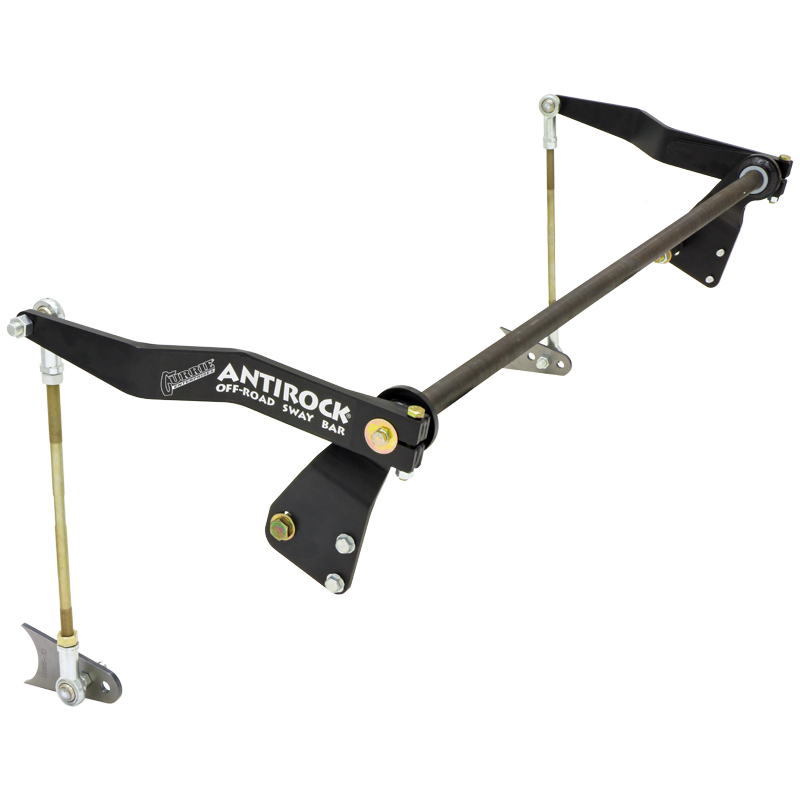 This is the complete TJ/LJ bolt on rear Antirock sway bar kit. Kit is completely bolt on and includes all necessary hardware with the exception of the housing tabs which require welding to affix them to the housing. Kit includes the 45 inch sway bar, semi-gloss black Powdercoated bolt on frame brackets, sway bar bushings, adjustable heim jointed sway bar links, weld on housing tabs, and all necessary hardware. Detailed instructions included. Requires the minor welding of the housing tabs, and trimming of the rear inner wheel wells for sway bar arm travel.